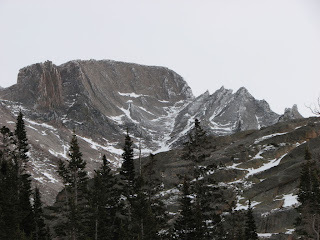 Today, Jonathan, Phil and I hiked to Black Lake in RMNP. From Black Lake we got this great view of the Trough on Longs Peak. Looks like a great ski descent to me.